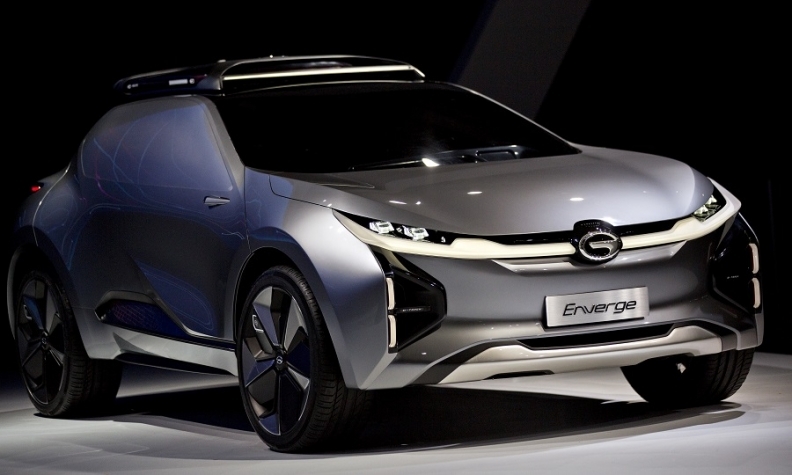 GAC debuted Enverge compact SUV in Detroit. Chinese automaker GAC Motor will use the Paris auto show to showcase its plans to launch in Europe. GAC has said it plans to enter the U.S. market next year with the GS8 seven-seat SUV next year. GAC has targeted Europe and the U.S. as part of its global expansion strategy. In June, it said its career fairs in Stuttgart, Munich and Paris this year attracted more than 700 applicants. GAC offered positions in vehicle engineering, process and technology, management and marketing. GAC gave no details of the A10 ahead of its Oct. 2 unveiling in Paris. It said it will also reveal details about its global branding strategy at the show. In China, GAC cars are sold under the Trumpchi and Gonow brands. In China, GAC Motor, a division of China's Guangzhou Automobile Group, has joint ventures with Toyota, Honda, Mitsubishi and Fiat Chrysler Automobiles. Toyota and GAC are cooperating to launch electric cars, giving GAC access to the Japanese automaker's stringent quality control and Toyota access to GAC's lower-cost technology, Bloomberg reported earlier this year.